When you go out to most restaurants, the waiter will hand you a wine list tell you about their special cocktail and try to upsell you on drinks. I’ve been to a lot of restaurants and and I feel like I’ve disappointed a lot of waiters by just ordering a coke. I happen to like Coke. It’s delicious. That’s when I decided that for each of my events I would try to make a different specialty nonalcoholic cocktail. 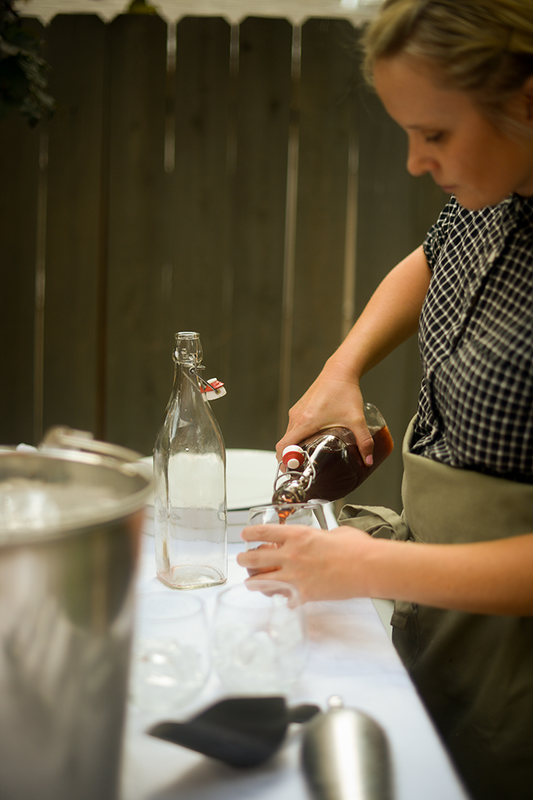 This summer, something that I made for a couple different parties was a cherry sarsaparilla. In the neighborhood where we live now, there are various backyard gardens with all sorts of fruit trees. It makes me want to make a Google map of all my neighbors houses to keep track of who’s growing what. Sounds a little intrusive, I know, but it would be nice to know when the Asian pears are ready on 18th Ave. This year a neighbor two blocks down had a cherry tree that was growing out-of-control. 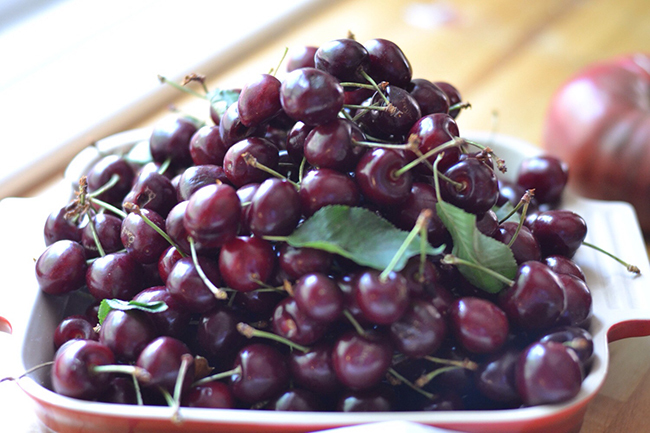 He had so many cherries that Buster and I went and ransacked his house (with his permission of course) for cherries and made a whole bunch of fresh cherry juice. Agave nectar is a natural sugar that comes from cactuses. It’s the same main ingredient in tequila. However, this is nonalcoholic. Mix these ingredients together gently. The fizz from the club soda helps everything dissolve, but it’s important to mix gently so that it doesn’t explode and make a giant mess. The sarsaparilla extract that we used was purchased during a recent visit to my hometown of Columbia, California. 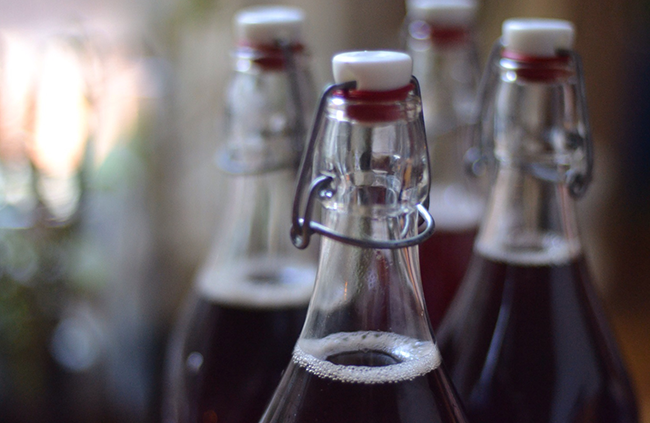 If you can’t find sarsaparilla extract you can use root beer extract instead but the taste will be slightly different. It’s my understanding that root beer is made from Birch and sarsaparilla is made from Sassafras, so there is a different flavor. I prefer sarsaparilla but I also understand that you can’t get that everywhere. So if you get root beer that’s just fine. I think you will enjoy it. Give it a try and let me know what you think. It is one of my favorites. Enjoy!